Note; at the time of this review (14/4/19) this park had been vandalised with a slide set alight and destroyed and some damage to the BBQ hot plates also. 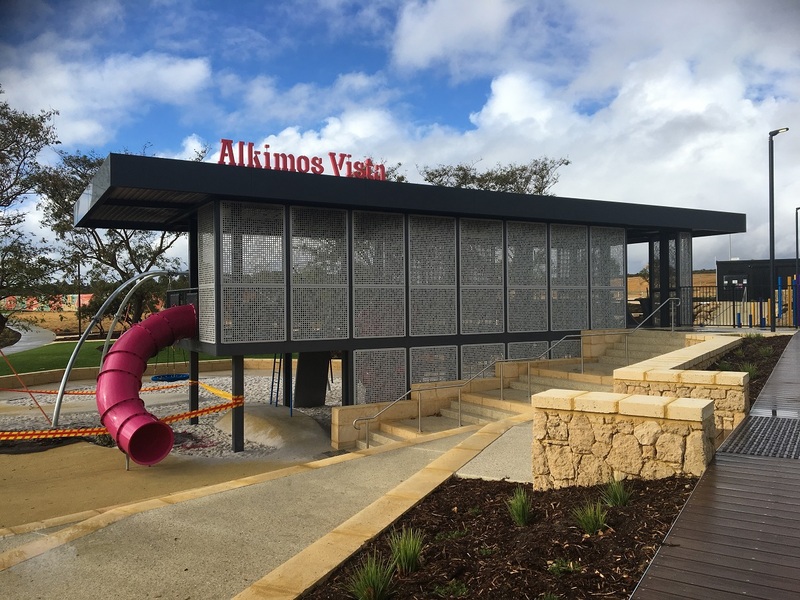 Picasso Park Alkimos Vista has been designed for adventure play no matter what the weather with a covered playground that allows kids to play rain, hail or shine. I absolutely love how this playground has been designed with the main play structure built within an open air building. It was a little rainy when we visited but my son was able to play on both levels without getting wet climbing up the inner ropes and ladders and coming down the slides. 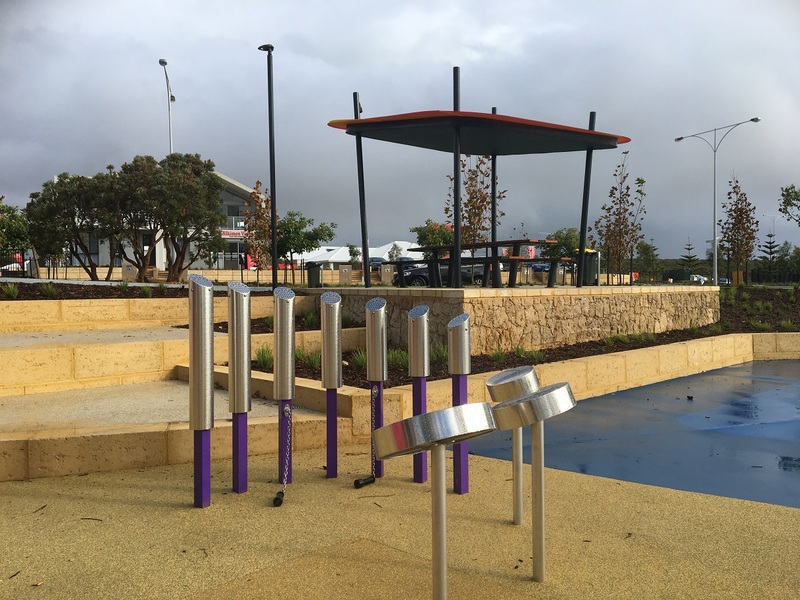 This playground design allows play with minimum exposure to both rain and sun all year round. 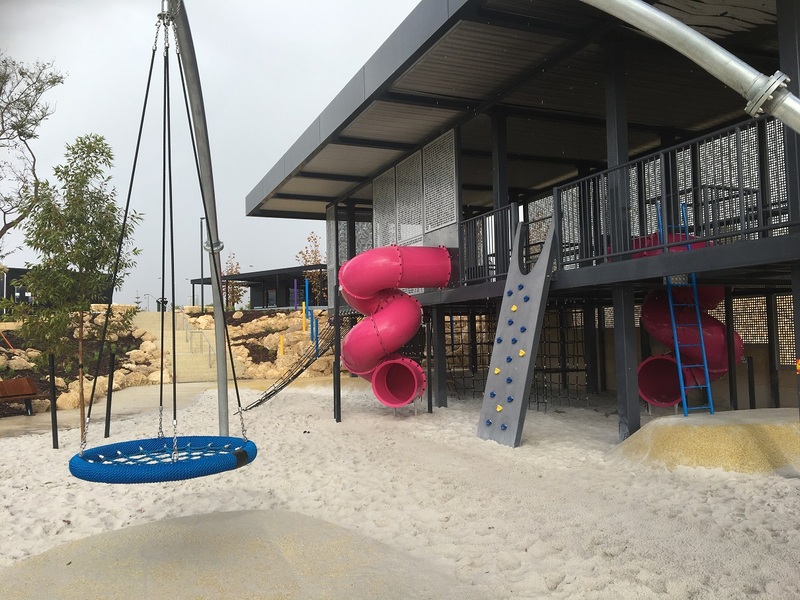 The upper platform can be accessed by a variety of ladders, ropes and rock climbing walls or from the path at the top of the park and the kids will love the choice of one of four bright pink winding slides (one of these slides had been destroyed by vandals at the time of this review)and fireman's poles to make their way back to the ground where there is a large basket swing too. 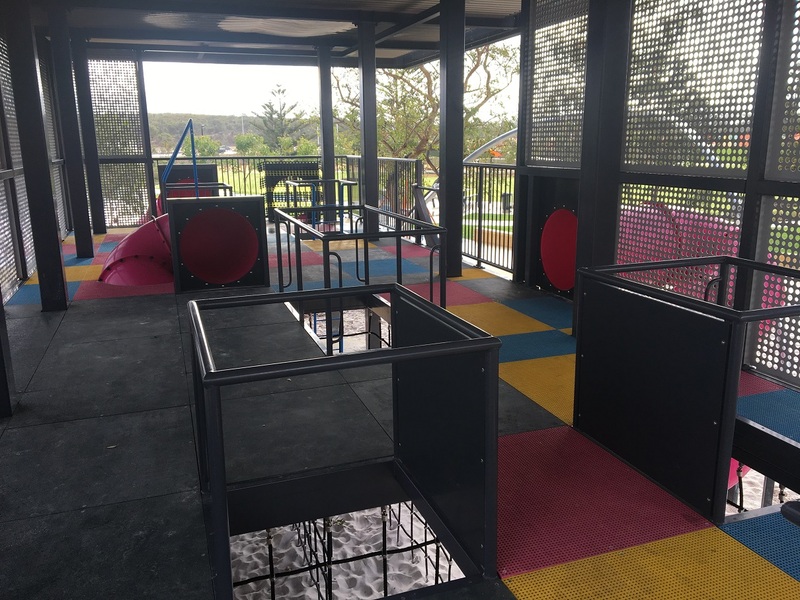 Another cool feature of this playground is the full size basketball court with ping pong table alongside, bound to keep the bigger kids entertained too (bringing along your own table tennis bats and balls is recommended). 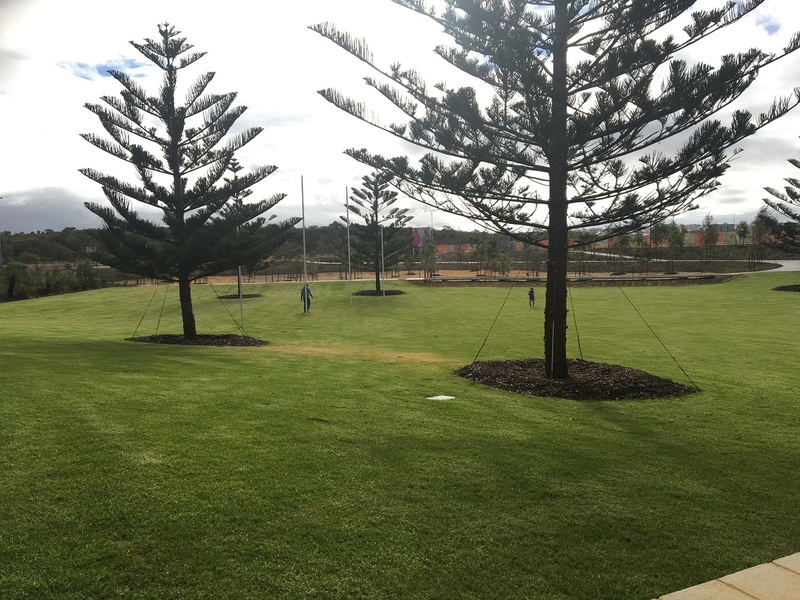 Sports loving kids will love the big grassed area with football goals too. Surrounding the oval is a wide footpath that goes all the way round, so it's a good playground for having a ride of your scooter or small bike. There's no excuse for parents not to get in some activity too with a few exercise stations located around the park. 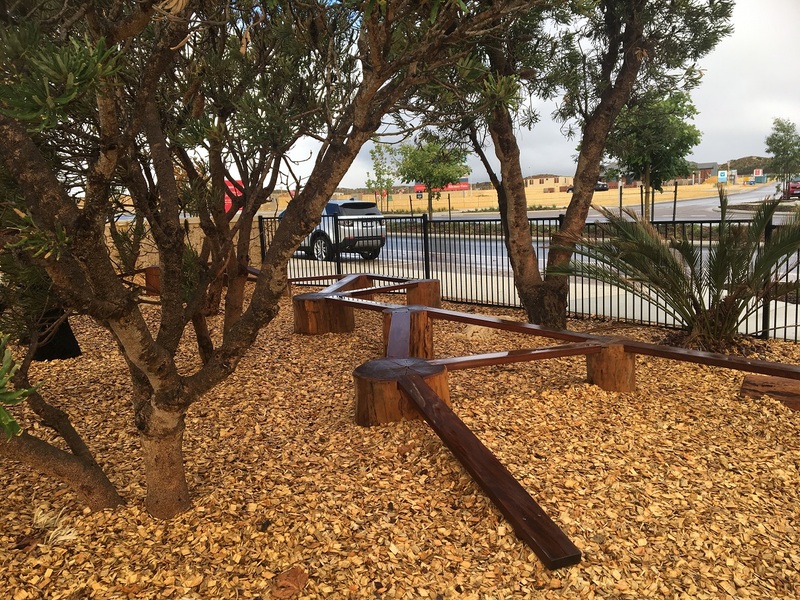 PIcasso Park Alkimos Vista also includes small musical play and nature based play sections. 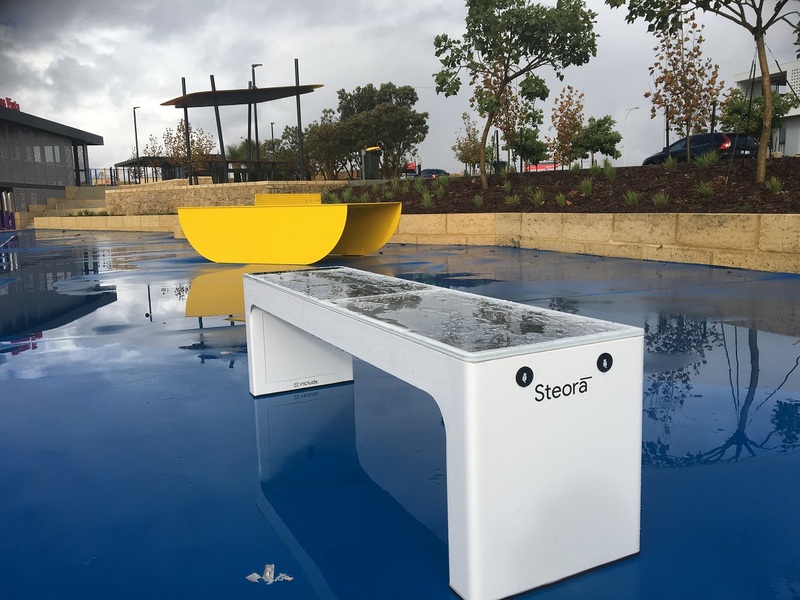 And if all that wasn't cool enough the park also features a couple of these smart benches. They are solar powered, give you free WiFi and have charging points and if you actually feel like using it as a seat you can sit on it too (lol). 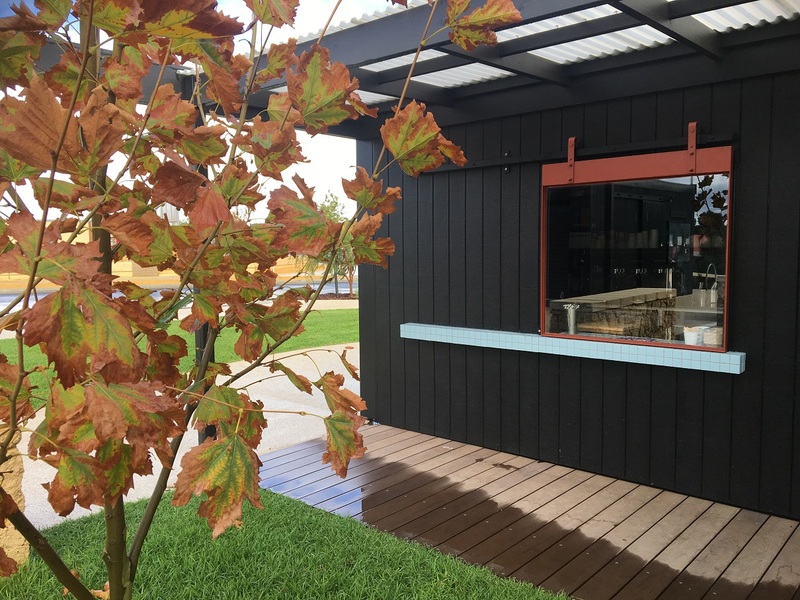 Overlooking the Picasso Park Alkimos Vista playground is the Sprout Hub Cafe. 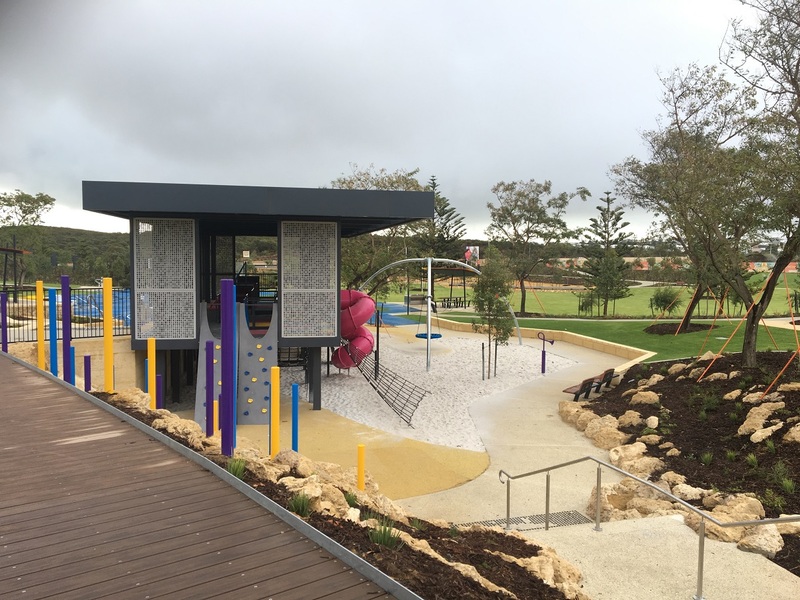 It's currently open Thursday to Sunday 10 - 2pm but check out the Sprout Hub Alkimos Vista facebook page for latest opening times. Toilets are open at the cafe when the cafe is open, and other toilets are available at the display office across the road when the office is open. 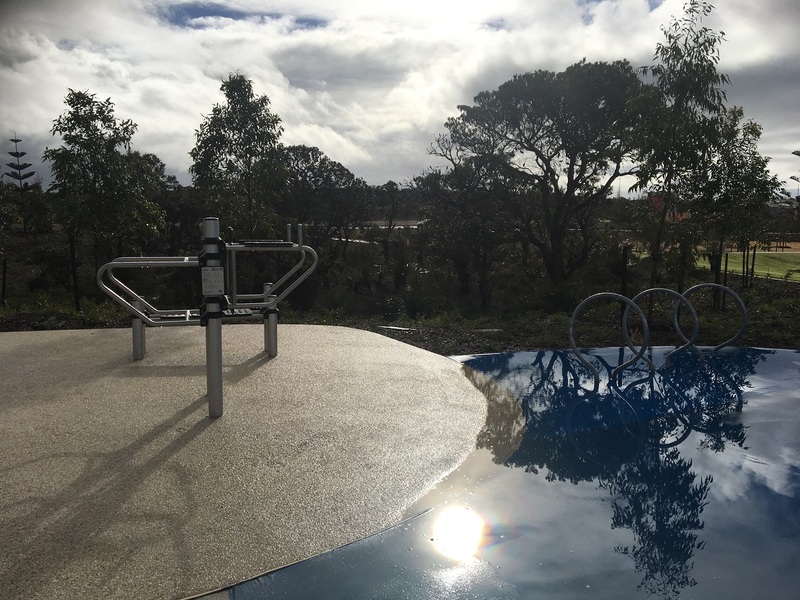 Picnic shelters and BBQs are also available at the park - however the BBQs had been vandalised on our visit so we haven't pictured them here. 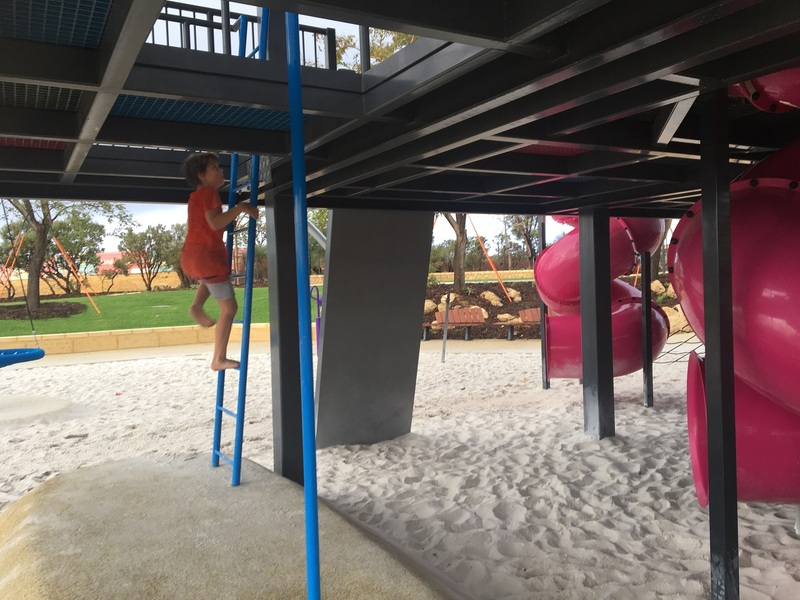 Picasso Park Alkimos Vista is the perfect playground for play all year round with a large two storey covered and partly enclosed play structure that protects kids from the elements of sun and rain. 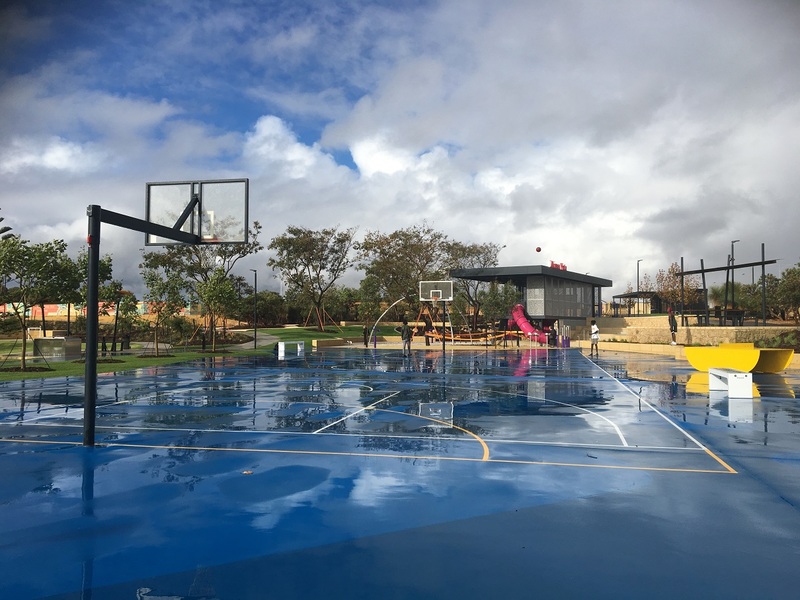 It's a great playground to meet with friends and family, for the family to be active together and is definitely worth a little bit of a drive.